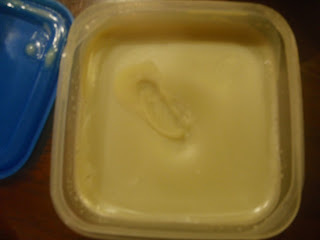 Today I made my usual skin and hair moisturizer with a twist. Usually I’ll take shea butter, melt it down, and either put coconut oil in it, stir and let it solidify, or put the coconut oil in and whip it while semi-solid and then let it solid up. This time I did a few things differently. 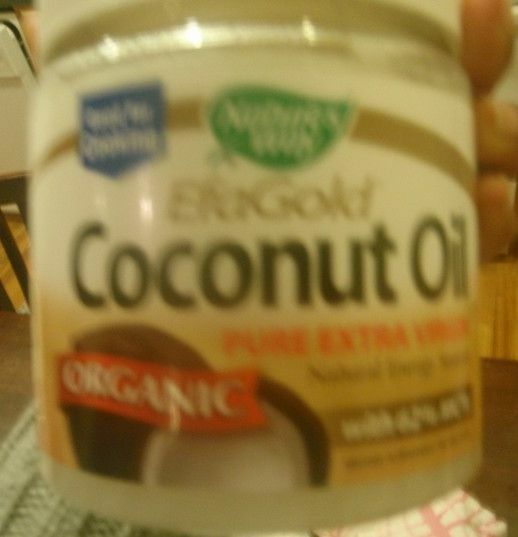 First off, I used Shea butter and Cocoa butter. 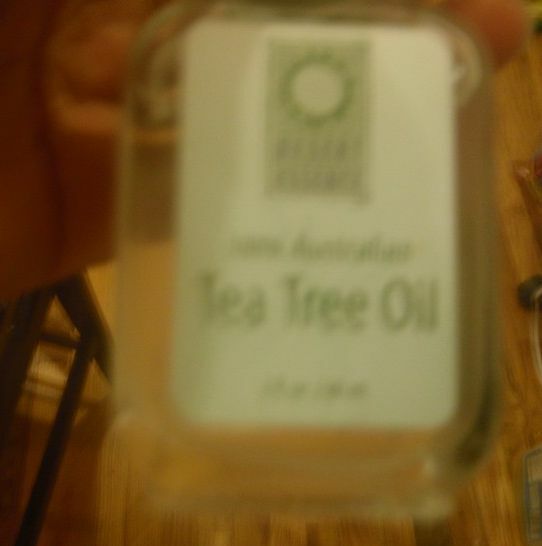 I also added a few drops of tea tree oil to the mix. 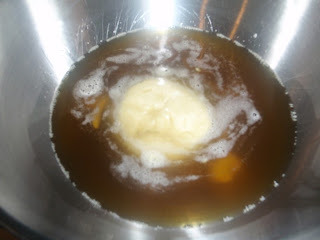 Some of the mixture I poured into a container seperately to solidify with additional coconut oil, to be an oilier consistency. 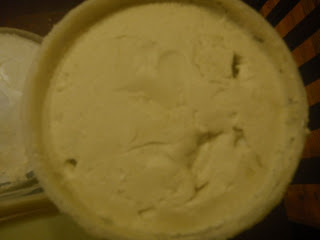 The other part, I whipped with my immersion blender and didn’t add any more coconut oil. 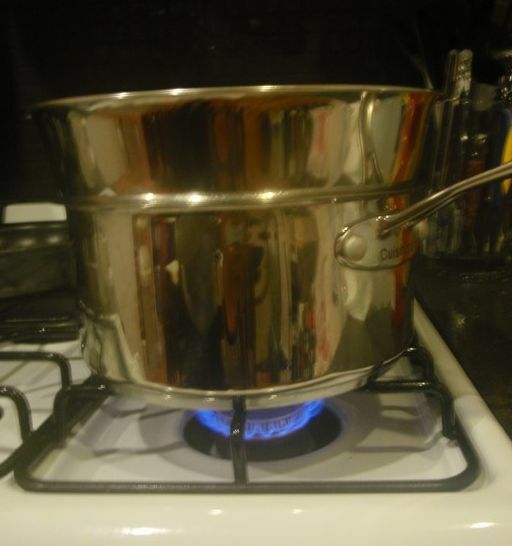 This is how I set up the pot/bowl to heat the shea up. This is the whipped one…but you can’t really tell…. 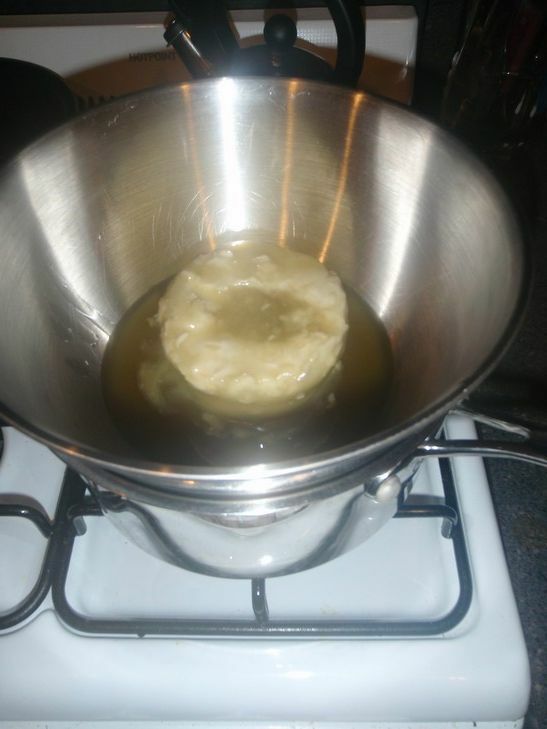 How long do you whip it up for? I don't really have a specific time. 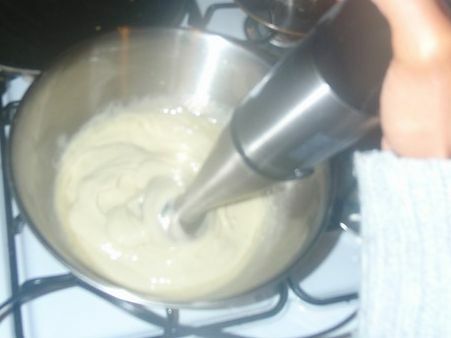 I just whip till it looks well blended and smooth and yummy.